This is our first installment in the Community Success Stories series. Beaverton, Oregon, is a community of 90,000 residents situated seven miles west of Portland just south of the Oregon/Washington border. The local economy is driven by the technology and manufacturing industries, and the town itself has gained a reputation for being populated with highly skilled professionals. 42 percent of the population is college-educated, which is significantly higher than the national average. Beaverton is known for its attractive neighborhoods and abundance of parks and green space. One factor contributing to Beaverton’s desirability as a place to live is the commitment to a clean and healthy community, and the recycling program is part of this effort. Beaverton has achieved an impressive 59 percent recycling rate, just under the 64% recycling goal set by the State of Oregon. Refuse and recycling in Beaverton is managed by the city, but provided by private haulers who are assigned geographic sectors of the community. Participation is voluntary and residents pay the hauler directly for both services. The fact that residents pay for both services in a package deal provides an economic incentive to recycle since residents are paying for the service already. Although there are different haulers in different sections of town, they all operate under the same rates and provisions as set forth by the city. This results in a consistent level of service to all citizens. Single family homes are provided with curbside collection of paper, plastic, metal and glass in a dual-stream system. Glass must be kept separate from the other recyclables. Containers are provided by the hauler. Used motor oil can also be placed at the curb. Drop-off centers are available for other materials. Beaverton has ensured that apartment-dwellers are not left out of the program by requiring property managers to provide recycling options to their tenants and by implementing the “In The Bag!” program. The city provides recycling tote bags to all apartment dwellers to help make it easier to transport recyclables to the proper drop-off location provided by the apartment complex. Commercial recycling is also provided through the city and, as with residential recycling, the fee is included with refuse services. Commercial entities are also required to recycle cardboard and paper. Beaverton has an outreach team to educate residents and businesses and to promote recycling within the community. These individuals visit local apartment complexes, commercial businesses, and manufacturing establishments regularly to review recycling programs and explore ways to increase recycling. The US EPA promoted Beaverton’s recycling program in 2008. “A consistent education outreach program and material sort in the City of Beaverton has been the most notable recipe for the program’s success. 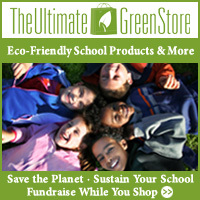 Waste is reduced through financial incentives, outreach, and education rather than ordinances and fines” (US EPA, para. 13). Beaverton also hosts annual special recycling events, provides educational recycling videos on their web site, and has partnered with two other local governments to produce local television ads promoting recycling in the area. The political environment in Beaverton also lends itself to green policies. The Mayor’s 10 Point Plan emphasizes environmental quality, and the Beaverton Civic plan focuses on community sustainability and civic involvement. The Civic Plan was achieved with significant involvement from the Beaverton Community Vision citizen advisory council which garnered direct involvement from over 5,000 residents. Beaverton has received many awards recognizing their efforts in sustainability initiatives, and in 2008 the city was named Government Recycler of the Year by the Association of Oregon Recyclers. Recycling in Beaverton is aided by strong community leadership and extensive citizen involvement. Click here to visit Beaverton’s Recycling web page. This entry was posted in Motivating Recycling Behavior, Recycling News, Recycling Policy and tagged city of beaverton oregon, community recycling programs, recycling policy. Bookmark the permalink. Post a comment or leave a trackback: Trackback URL.